Dzhokhar Tsarnaev now faces the sentencing phase of his trial, even with some crucial questions about the case left unanswered. Assistant US Attorney Aloke Chakravarty portrayed Tsarnaev as a heartless terrorist who, along with his brother Tamerlan, carried out the April 2013 attacks that killed three and injured 264 others. But while evidence of Tsarnaev’s culpability—including an admission of guilt from his own defense team—virtually guaranteed a guilty verdict, that wasn’t enough to stop prosecutors from twisting important facts to suit their own agenda. What the jury didn’t know is that in May 2014, prosecutors said they had no evidence the bombs were constructed at Norfolk Street, and in October 2014, a year-and-a-half after the bombings, the FBI said it still had no idea where the bombs were built, or who actually built them. 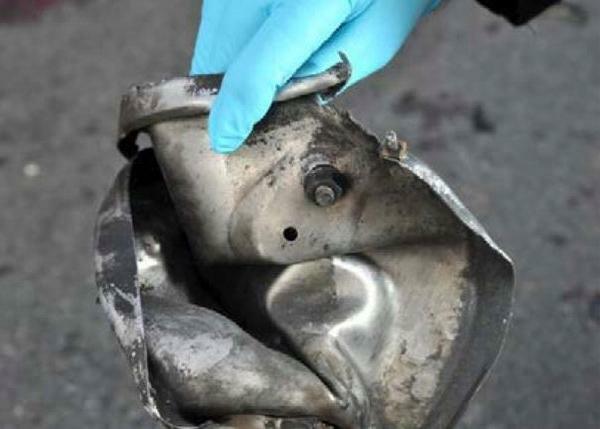 A remnant of the pressure-cooker bomb that exploded at the 2013 Boston Marathon. The government’s own witness, FBI explosives expert David McCollum, testified he could not determine where the bombs were constructed—a fact seemingly forgotten by Chakravarty during closing arguments Monday. While no one was expecting anything other than a guilty verdict for Tsarnaev, the question of who built the bombs and where is a salient one. It should concern anyone who would seek to prevent future bombings. 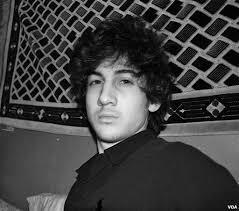 In the rush to condemn Dzhokhar to death, why is the government seemingly content to ignore evidence that might point to the involvement of others in the planning and execution of the attack? What is their overall objective here? For context, see this article in the Christian Science Monitor, on a recent case in which the FBI lured an unstable young man into a bomb plot and then practically handed him a bomb—albeit one that, at least in that case, was inert. This follows a long history of the FBI “helping” those expressing anger at the US to fulfill their wildest fantasies of revenge, before busting them. That the FBI was in contact with Tamerlan Tsarnaev, the now-dead elder brother of Dzhokhar Tsarnaev, prior to the Boston bombings, obviously deserves much more attention given the uncertain provenance of the bombs themselves. There are 28 comments Our Comment Policy: Keep it civilized, keep it relevant, keep it clear, keep it short. Please do not post links or promotional material. We reserve the right to edit and to delete comments where necessary.